After some conversations with fellow IT admins recently it became apparent that you can obtain an annual subscription to Microsoft Enterprise Mobility + Security (EM+S) through an existing MSDN subscription. 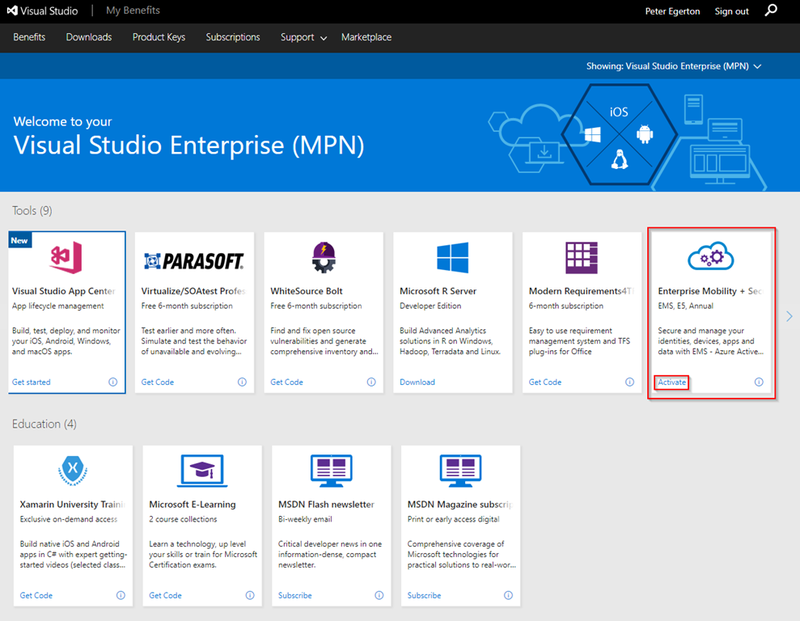 If you have no access to MSDN then I’m afraid this isn’t going to help but if you have, like many, MSDN subscriptions either through the licensing agreement of Microsoft partner status then you may not have realised this was available to you. I certainly didn’t initially. This is not breaking news and it is public knowledge but it was surprising how many people did not realise this was available. You could well have unused gadgetry that you didn’t know you were allowed to play with for FREE (kind of). Thanks go out to Vladimir Petrosyan at Microsoft for following up on this one and reaching out to me to advise. If you want to enable this you will initially need an Azure subscription and an Azure Active Directory set up. This is also available through your MSDN and the amount of credit you have depends on your subscription level. Click the image to activate that if you haven’t already. Now, to get your EM+S you need to visit my.visualstudio.com and view the list of tools available. Your screen may differ slightly to mine again depending on your subscription level and also when you are reading this as these tools will change over time. Make sure you don’t miss the scroll arrow, it’s easily missed. Once you have scrolled across you should see Enterprise Mobility + Security. It’s an E5 license too which gives you all the bells an whistles to try out. Now all you have to do is hit the Activate link and it will take you through to the relevant page to complete the activation. It’s a really simple but I don’t have the screenshots given that I’ve already activated it in my subscription for this year. There is more information available on the Microsoft docs site here. You can then work with all the features of EM+S through the Azure Portal. Check some of my other posts for info on this. 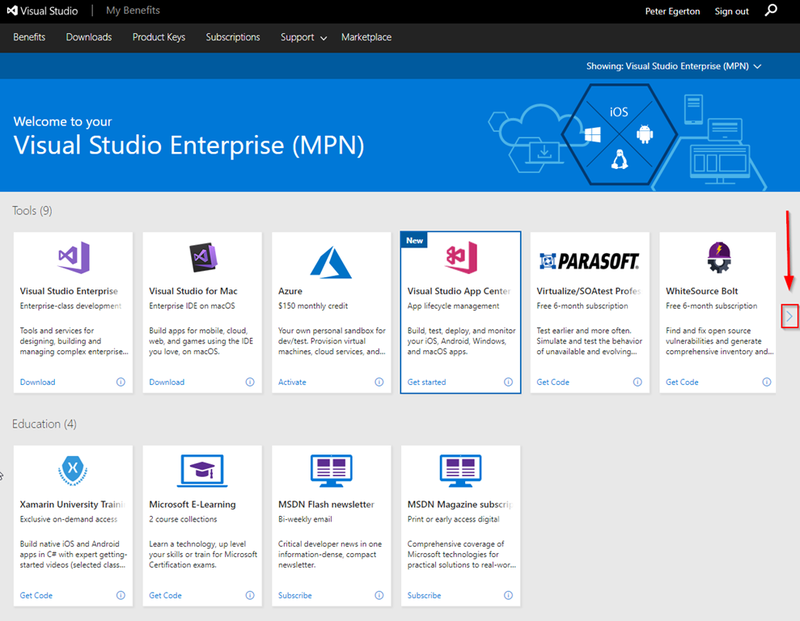 Whilst you are in there, why not check out some of the other great features including 6 months access to Pluralsight training and of course Visual Studio.